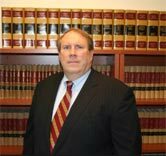 Thomas A. O'Rourke (Member) born Brooklyn, New York; admitted to bar, 1977, California; 1979, New York; 1979, U.S. Court of Customs and Patent Appeals; 1983, U.S. Court of Appeals for the Federal Circuit; registered to practice before the U.S. Patent and Trademark Office. Education: Fordham University (B.S., 1973); St. John's University (J.D., 1976). Senior Member, St. John's Law Review, 1974-1976. Editor, NYIPLA Annual Review of Intellectual Property Law, 1998-2000. 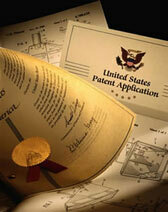 Author, Annual Review of Patent Law, 1995-2000; NYIPLA Bulletin Recent Decisions of Interest, 1986-2000. Member, Advisory Board of the Licensing Journal. Director, Long Island Forum for Technology. Member: Suffolk County (Co-Chairperson Intellectual Property Law Committee), New York State Bar Association; New York Intellectual Property Law Association (Member, Board of Directors, 1997-2000).